And so I come back to the boy-genius, enfant terrible whose Illuminations I bought while at Bellarmine (under the influence of a Kerouac whose words I enjoyed but whose life was not a practical model). And true as well with Rimbaud — what a mess of adolescence, what dissolution, no wonder the Beats jumped on his bandwagon. No thanks. I’ve more sympathy for the adult, boring Rimbaud than the precious, self-conscious, self-centered Poet of the universe, even with his theory of illuminism and the consequent perverting of the senses. Demais! I can’t say that there really are many poems herein worth memorizing. Sure, I could use some lines and maybe images, but other than the list of re-readables (principally Bateau Ivre and Saison), I can put this away till another day (maybe after I’ve read Baudelaire and Breton) and want to give him another try. I don’t get the fascination, although there were some lines in poetry and letters that did catch me. But I wonder if I will ever be tempted to reread him, to sit down and spend 2 to 3 hours with this Seer. It’s a coin-flip. 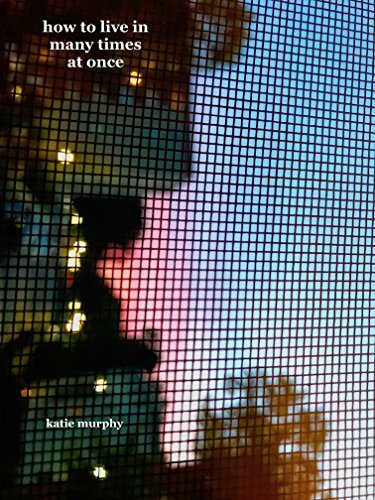 Over the years, I have been the blessed recipient of many poems by Katie Murphy, whose birthday it is today. I invite lovers of poetry to purchase her e-book, How to Live in Many Times at Once. but I play all of them on the ukulele now. I crawl under as many layers as I have. my instrument will be all yours.